The Oscar nominations announcement is almost upon us! This is probably the most wide open year I can ever remember. There just simply are not prohibitive favorites, and that is a really good thing. It is frustrating that there are no real consensus great films, but the fact that the Academy Awards isn’t just a formality is a breath of fresh air. Read up on my final Oscar predictions! And continue with my ARTISTIC AND TECHNICAL PREDICTIONS, which also features a complete tally of predicted nominations and wins. 1. BlacKkKlansman – Spike Lee, Kevin Willmott, Charlie Wachtel, David Rabinowitz – LOCK. It has everything going for it. It is this year’s American Hustle, but it also has the timely nature that takes it over the top. It should coast to the win. 2. Can You Ever Forgive Me? – Nicole Holofcener, Jeff Whitty – LOCK. Holofcener is a beloved screenwriter, and the movie checks all the right boxes to get an easy nomination here. 3. If Beale Street Could Talk – Barry Jenkins – LOCK. The movie is a wonder of screenwriting and directing. Jenkins deserves to win the award, but getting the nomination will have to be enough. 4. A Star Is Born – Eric Roth, Bradley Cooper, Will Fetters – Musicals are not usually nominated for their screenplays, but this one happens to be a little deeper than most and has a distinguished group of writers. 5. Crazy Rich Asians – Peter Chiarelli, Adele Lim – This would be a more traditional Original Screenplay choice, but the movie keeps popping up, and it does have the box office and backing to surprise in a couple categories. 6. Black Panther – Ryan Coogler, Joe Robert Cole – It would be a little ridiculous to single out the screenwriting for this movie, but it got the WGA and Critics Choice nominations, so it is right there. 7. First Man – Josh Singer – He has won in the past, and while the movie has not shown up much this awards season, an Adapted Screenplay nom would be a nice nod to the misunderstood Damien Chazelle picture. 8. The Death of Stalin – Armando Iannucci, David Schneider, Ian Martin – The duo shocked us all by sneaking in for In the Loop, and they are the beloved creators of Veep. Keep an eye out for this one, even though hardly anyone saw it. Writers love them. 1. Green Book – Nick Vallelonga, Brian Hayes Currie, Peter Farrelly – LOCK. The winner for Best Screenplay at the Golden Globes was surprising, but it does really fit the profile for this category. 2. The Favourite – Tony McNamara, Deborah Davis – LOCK. There is a really good chance that this wins. The movie is talky, but not showy. It is also crazy, but it is tasteful. This would be an easy way to reward the movie. 3. Eighth Grade – Bo Burnham – This would be a bit of a surprise, but there is building momentum for the indie debut film. The category being filled with controversial choices opens up the door for Burnham to slide in. 4. Vice – Adam McKay – It would be hard to imagine it getting snubbed, but the screenplay is probably the worst part of the movie. But to snub it here would undermine the entire movie, and then everything we thought we knew would implode. 5. Roma – Alfonso Cuaron – The Netflix thing holds it back from being a lock, but it certainly looks like a really strong contender in this category. Foreign films are consistently nominated here. 6. First Reformed – Paul Schrader – This would be the best place to put the movie if it is to get nominated. Schrader isn’t a director, but he is a screenwriter. It does get absurd in the end, but it is tightly wound and interesting. 7. Cold War – Pawel Pawlikowski, Janusz Glowacki – There could still be leftover love for Ida, and this movie has been playing really well in recent weeks as it expands. This would be a welcomed surprise. 8. A Quiet Place – John Krasinski, Bryan Woods, Scott Beck – This would be an interesting choice, but if they want to go safe, they can easily slide the box office smash thriller into the fold. The WGA nomination really made it a possibility. 1. Rachel Weisz – The Favourite – LOCK. She is in excellent position to win her second Oscar with just her second nomination. The movie is going to be showered with nominations, and this feels like the easiest way to reward it. 2. Emma Stone – The Favourite – LOCK. Traditionally, she would be the favorite. Traditionally, though, she would have been nominated in lead. A vote split here is possible, but I really think one of these two will win. 3. Regina King – If Beale Street Could Talk – She got snubbed by SAG and BAFTA, which is discouraging for the longtime great actress who has never been nominated. I just think there is too much goodwill there for her to get left off. 4. Claire Foy – First Man – The movie has underwhelmed all awards season, but she is consistently the most mentioned. She deserves her first nomination for this film, coupled with her transformation into Lisbeth Salander in The Girl in the Spider’s Web. 5. Amy Adams – Vice – She definitely does her thing in Vice, but I don’t really know anyone who thinks she was the standout. She is nominated for basically everything, so here is another also-ran for the amazing character actress. 6. Nicole Kidman – Boy Erased – She has the pedigree, but the movie does not. She is always in and around the ceremony, but this might be a stretch. 7. Margot Robbie – Mary Queen of Scots – She has the two most important precursors, but her movie just dwarfs in comparison to the very similarly plotted The Favourite. She will have to wait another year before her second nomination. 8. Emily Blunt – A Quiet Place – The double SAG nomination is intriguing, but this would be even more bizarre than Jamie Foxx in Collateral. 1. Mahershala Ali – Green Book – LOCK. It seems strange that he is going to win his second Oscar after just bursting onto the scene in the last few years, but Christoph Waltz did it. 2. Richard E. Grant – Can You Ever Forgive Me? – LOCK. He has all the right precursors to make a serious run at winning the thing. 3. Sam Elliott – A Star Is Born – He has gotten snubbed by a lot of the important awards, but the SAG nomination put him back in it. He probably has the best chance to win of any of the film’s nominees, but he has to secure the nomination first. 4. Adam Driver – BlacKkKlansman – He should get his first nomination for his excellent work in Spike Lee’s film, but he has been close in the past. He was certainly the standout of that impressive cast. 5. Michael B. Jordan – Black Panther – This would be a bit of a shocker, since the only nomination for a comic book movie in an acting category was an all time performance by an actor that was awarded posthumously. He is the star of the movie, though, and the Critics Choice nomination shows that he is indeed taken seriously. 6. Timothee Chalamet – Beautiful Boy – He doesn’t need his second nomination yet, but he should have won it last year. This would be an upset if he gets left off, but I suspect the lack of enthusiasm for the film overall will be his undoing. 7. Sam Rockwell – Vice – He is basically doing Sam Rockwell doing a George W. Bush impression, but he has been singled out quite a few times. Don’t count him out. 1. Glenn Close – The Wife – LOCK. The Golden Globe shocker secured her nomination. It may finally be her time. 2. Olivia Colman – The Favourite – LOCK. She gives the best performance of any of the contenders, but she is a newcomer to the party, so she will have to be happy with her nomination. 3. Lady Gaga – A Star Is Born – LOCK. Perhaps it is a little too early for her to be knocking on the door of an EGOT…oh wait she is still winning Best Original Song. 4. Melissa McCarthy – Can You Ever Forgive Me? – LOCK. The movie has gotten all the right mentions this season, even though I don’t know anyone who has actually seen it. 5. Emily Blunt – Mary Poppins Returns – LOCK. The double nomination at SAG made it almost completely certain that she will get her deserved first nomination. 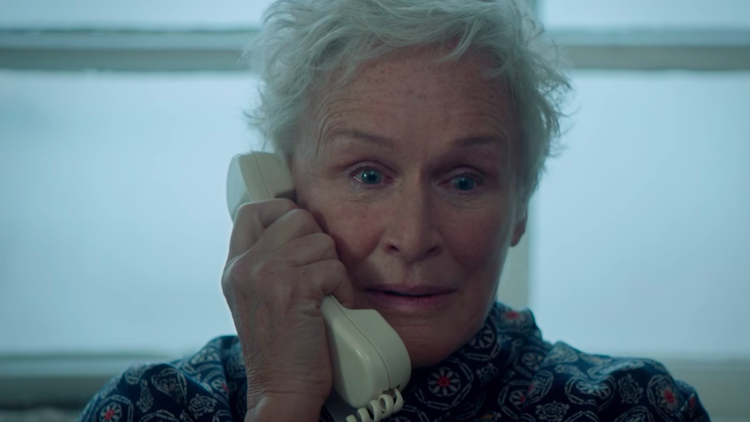 It is the first time since 2006 that I really don’t think there are any other possibilities in the Best Actress category. 1. 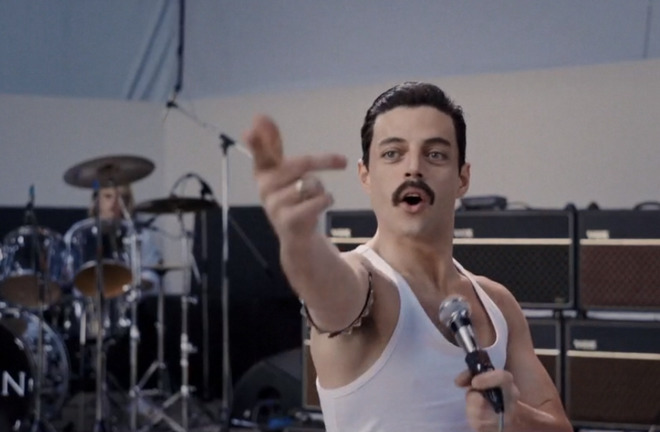 Rami Malek – Bohemian Rhapsody – LOCK. The Golden Globe win cemented his status as the favorite. He is this year’s Eddie Redmayne. 2. Bradley Cooper – A Star Is Born – LOCK. Only twice in history has someone directed themselves to Best Actor: Roberto Benigni and Laurence Olivier. I don’t think he can stop Malek. 3. Christian Bale – Vice – LOCK. The transformation is astonishing, but I can’t see him passing up the top two, especially when he thanks Satan in his acceptance speeches. 4. Viggo Mortensen – Green Book – LOCK. He will get showered in with the love of the movie, even though his performance is not necessarily all that impressive. 5. John David Washington – BlacKkKlansman – He has been popping up in all the right places, plus he had another great performance in Monsters and Men. I think he’s in, but he’s not a lock. 6. Willem Dafoe – At Eternity’s Gate – The movie just hasn’t been seen by enough people to really count on it. Dafoe will win one day. 7. Ethan Hawke – First Reformed – It is hard to project what to do with this movie. Hawke is the critical darling, but the guilds hate it. 8. Lucas Hedges – Boy Erased – He is certainly a contender, but like Chalamet, I don’t think he needs a second nomination already. 1. Alfonso Cuaron – Roma – LOCK. He could be the third director to win twice without a Best Picture win (George Stevens and Ang Lee). 2. Bradley Cooper – A Star Is Born – LOCK. The Golden Globes didn’t shower the film with love, but his nomination is secure. 3. 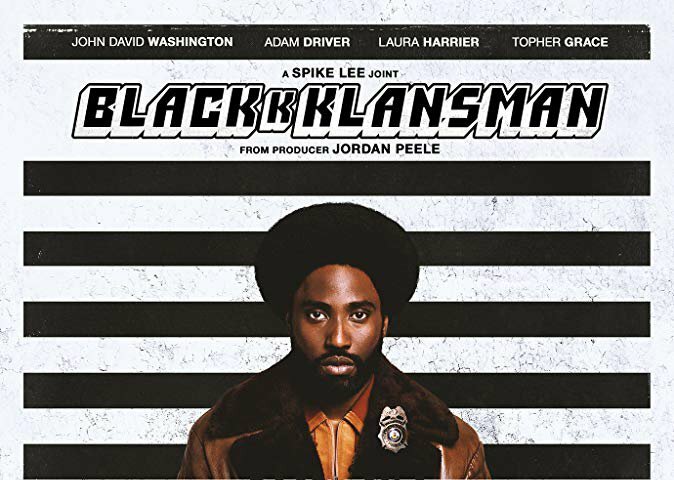 Spike Lee – BlacKkKlansman – He has never been nominated in this category, and he famously hates the Oscars and never shows up to the ceremony. This seems like the easiest of his movies to reward him for, but I can’t be 100% on his status. 4. Peter Farrelly – Green Book – He got the Directors Guild nomination, which puts him squarely in this lineup. The film’s major love at the Golden Globes also makes this a really good bet. 5. Yorgos Lanthimos – The Favourite – The film has shown up everywhere, but he missed out on the DGA. I find it hard to think that the movie will get 10+ nominations without the director getting recognized, but it has happened before. 6. Adam McKay – Vice – The DGA nomination kept him alive. This wouldn’t be quite as ridiculous now that he has already won an Oscar, but the idea of this movie getting a Best Director nomination just feels weird. 7. Ryan Coogler – Black Panther – I wouldn’t entirely count this out. He really hasn’t been singled out all season, but this would be one really cool nod to the talented young filmmaker whose film will show up all across the board. 8. Barry Jenkins – If Beale Street Could Talk – In the past, when you don’t win an Oscar for something that wins Best Picture, then that puts you on the “overdue” list until you do win. Somehow, this movie hasn’t connected the way that Moonlight did, but it’s possible that his exquisite direction snags that fifth spot and opens up the race a bit. 9. Paul Schrader – First Reformed – This almost feels like one of those David Lynch for Mulholland Dr. nominations. It could be the film’s only mention, which would be crazy in the current format, but it is not completely out of question. 1. 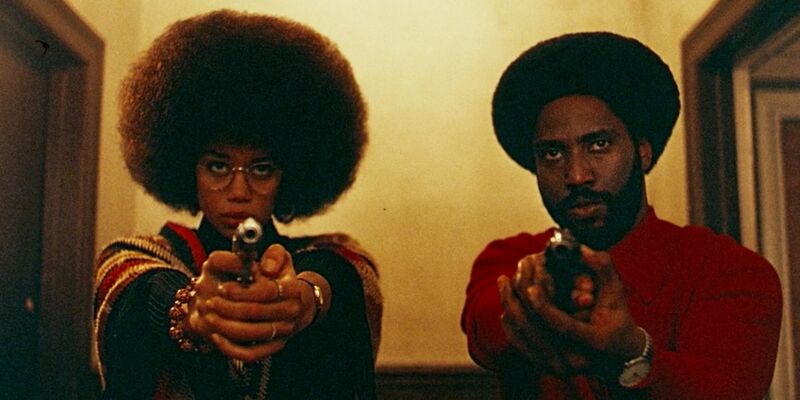 BlacKkKlansman (Spike Lee) – LOCK. It is the least offensive and most consistently rewarded film of the season, even if it hasn’t really gotten a relevant Best Picture win just yet. 2. A Star Is Born (Bradley Cooper) – LOCK. Losing out at the Globes to another musical is an interesting wrinkle. It is going to be nominated everywhere; it just isn’t the juggernaut we originally thought. 3. 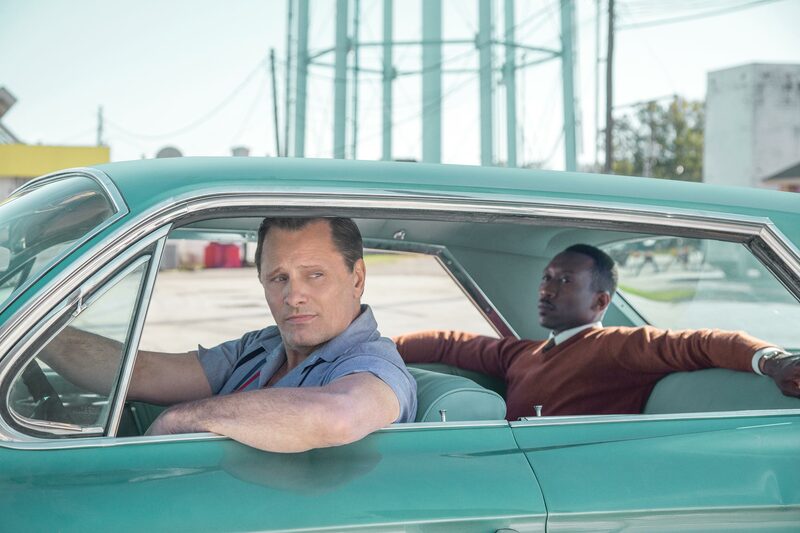 Green Book (Peter Farrelly) – LOCK. The Globes cemented its status as a real threat to win the thing. 4. The Favourite (Yorgos Lanthimos) – LOCK. It can’t get nominated everywhere without showing up here. Somehow, the movie is as accessible as any of the contenders. 5. Bohemian Rhapsody (Bryan Singer) – LOCK. Winning the Golden Globe for Drama is crazy for a by-the-numbers biopic like this. Can it continue that run for another month? 6. Black Panther (Ryan Coogler) – This is where is gets a little more difficult to predict. A comic book movie would be unprecedented to get nominated, but it has shown up in every single relevant Best Picture race all awards season. I think it is in, but a last minute snub is not out of the question. 7. Vice (Adam McKay) – The movie is pretty bad, but it is so unashamed in its agenda that the Oscar voters are likely to fall for it. The performances are being singled out as well, so this should be in, but it’s not quite a lock. 8. Roma (Alfonso Cuaron) – The Academy has never nominated a Netflix movie in this category, and there has never been a foreign film win in this category. Can this foreign Netflix movie really be the Best Picture frontrunner? I can’t see it, even though almost every other movie is fading in buzz. 9. If Beale Street Could Talk (Barry Jenkins) – The movie is outstanding, but it has gotten snubbed by some of the important guilds, such as SAG and PGA. It should still get in, a lot like the way Phantom Thread and Selma did at the last minute, but I can’t be sure. 10. A Quiet Place (John Krasinski) – If there was ever a year for 10 nominees it would be this year where there just isn’t a frontrunner. This would be a strange choice and would give Michael Bay an Oscar nomination, but the PGA nomination and SAG nom are hard to ignore. 11. Crazy Rich Asians (Jon M. Chu) – It has gotten love from some of the right places, and being one of the 10 Producers Guild nominees helps keep it in the race. 12. First Reformed (Paul Schrader) – This is the type of movie that was a favorite, got snubbed through the televised awards shows, then at the last minute showed up anyway. It is really divisive, and Schrader isn’t exactly playing the campaign game, but I can see a scenario where it still gets in. There just needs to be 5% of the voters to be ecstatic about it. Thoughts? Your predictions? Let me know in the comments or look us up on Facebook!